When searching on Trip Advisor for the top picks in Brighton, Ephesus on Preston Street always seems to be floating around the top (it’s currently #9). For our recent girls’ night we headed down there to see what the fuss was about. 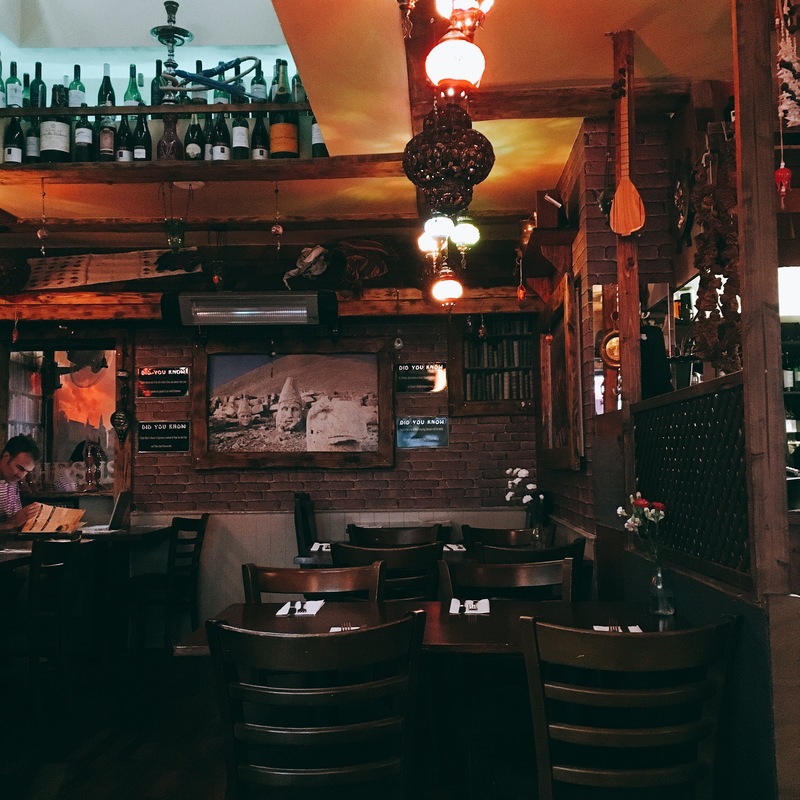 We’d booked a table and I arrived first, on a very warm evening and was seated inside. Sadly, all of the outdoor tables were already taken. They don’t have air conditioning and they have an open kitchen so on a hot evening it was very uncomfortable to begin with. There are two fans and the two tables nearby were taken so there wasn’t much point in asking for anything to be done about it. I sat for just under 10 minutes before being offered water. I was then brought water and only two glasses (for three of us, which they knew as we had booked and the table was set for three people). My two friends arrived shortly after and we were for a while to decide what to have. The waitress arrived to take our drinks orders and then started to walk away without asking if we were ready to order our food – which we were. It’s a minor thing but she seemed hurried despite the fact that the restaurant wasn’t that busy at this point. 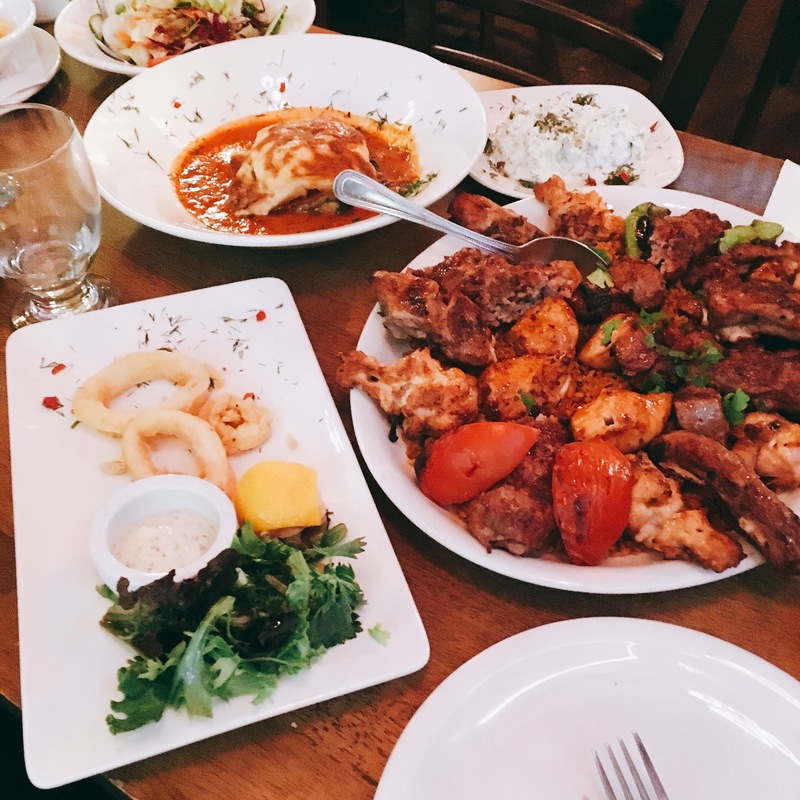 We decided to share everything between ourselves and ordered a set menu option, a sharing platter for two plus a side of cacik (Turkish tzatziki) and chips. We asked for all the food to be delivered together. Another (very nervous looking ) waitress brought over our cacik and bread, followed by the original waitress telling her off and taking the cacik away. A while later, it was brought back along with the rest of our food. At this point, we were a little deflated from the service so were hoping for good things from the food. 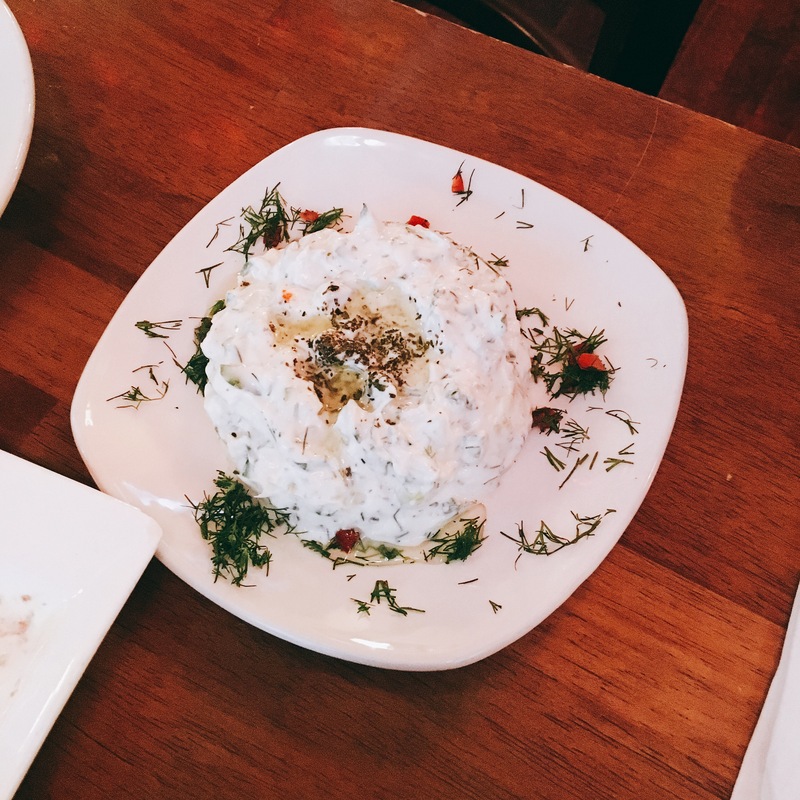 Cacik (Tzatziki) £4.45 – Traditional Turkish yoghurt, cucumber, garlic, mint and dill. The dill was evident and is the main difference between the Turkish and Greek counterparts. It was nice, personally for me I would have liked more garlic. The breads it came with were nice, quite hard but I think that’s how they’re supposed to be (please do correct me if I’m wrong on this point). 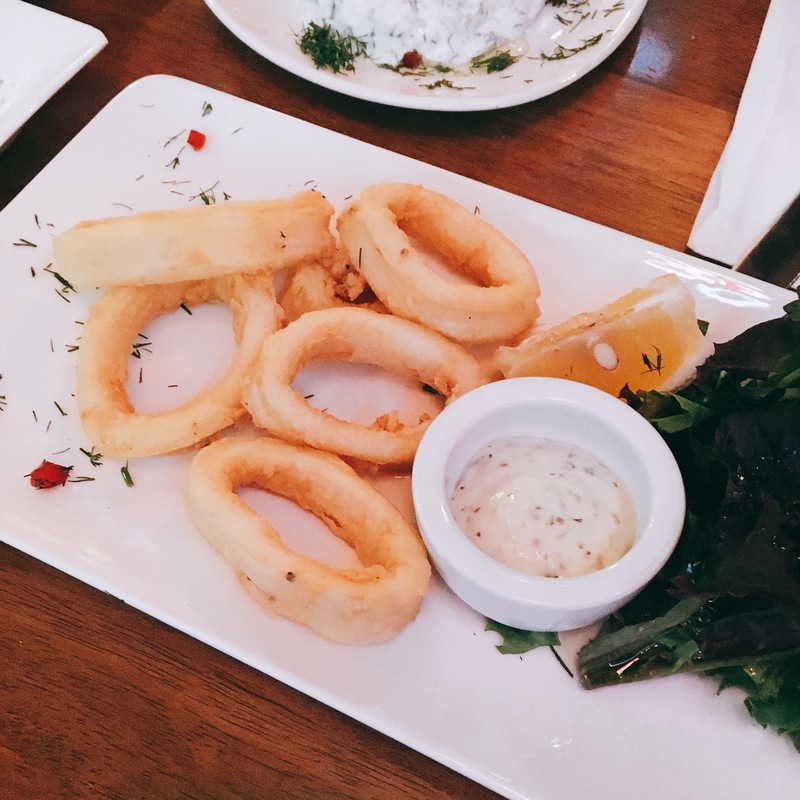 Calamari (starter from the Set Menu which was £13.95 for two courses) – calamari lightly floured and golden fried the ‘Mediterranean way’served with tartar sauce. It wasn’t the best calamari I have had and nor was it the worst. The tartar sauce tasted like it was from the bottle, I would have preferred a more authentic Turkish dipping sauce or nothing at all. 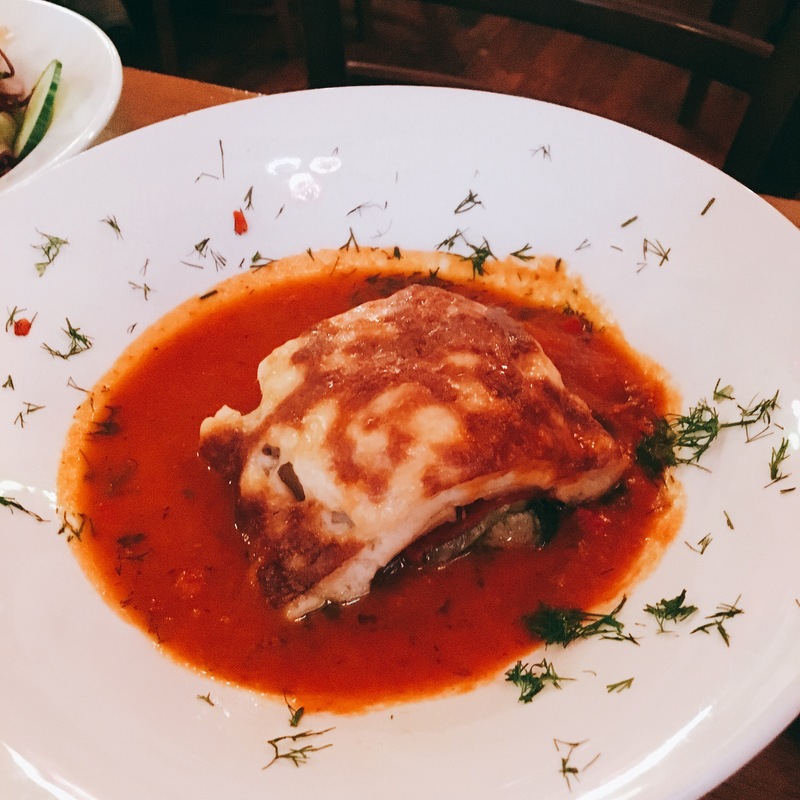 Vegetable Moussaka (main course from the Set Menu which was £13.95 for two courses) – Layers of potato, courgette, aubergine, mixed peppers, topped with bechamel sauce and cheddar cheese. Served with salad. I was the only one who actually ate any of this. It really wasn’t great. Sloppy layers of vegetables covered in a slab of unseasoned and tasteless bechamel and cheddar cheese. The tomato sauce surrounding it was not to my liking either. It tasted like it had been made a while ago and then microwaved. 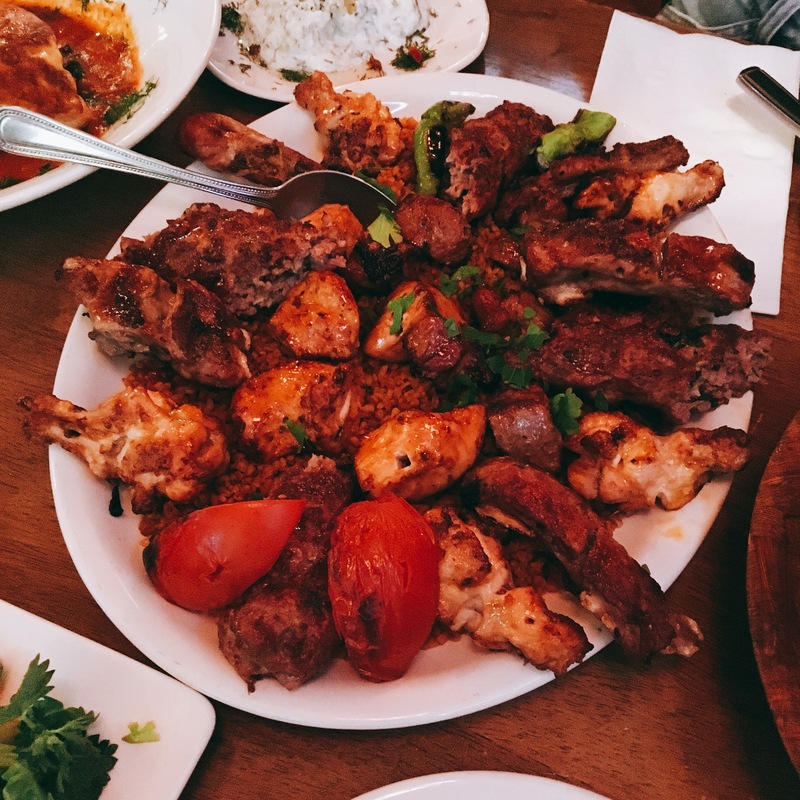 Sharing Platter for 2 £27.50 – Adana, Lamb Shish, Chicken Shish, Lamb Ribs, Chicken Wings. Served with special salad and bulgur. The meat was definitely the highlight of our evening. The tomato flavoured bulgur was a bit stodgy and I don’t know what was special about the salad. The platter was huge and I did my best to eat it all! Adana is minced lamb, shaped like a kofta and grilled, it was spiced nicely and really flavoursome. The lamb ribs’ flavour was really good but they were overcooked and weren’t the easiest to get off the bone. The chicken wings were again really tasty as was the chicken shish. The winner for me, though, was definitely the lamb shish – cubes of marinated lamb cooked on a charcoal grill. The lamb was nice and tender and the smokiness that came through from the charcoal grill elevated them. “Special salad” all I can remember about it was that it was quite wet. When I started writing this, I checked back with my friends who ate with me to make sure I wasn’t being overly harsh. They agreed with all points above so it wasn’t just me. We wholeheartedly agreed that the meat was the highlight of the evening. However, we were all seriously suffering from the meat and heat sweats without air-con! With other restaurants in Brighton & Hove offering similar dishes but at a better standard, I’m not quite sure how they have managed to gain their top ranking on Trip Advisor. 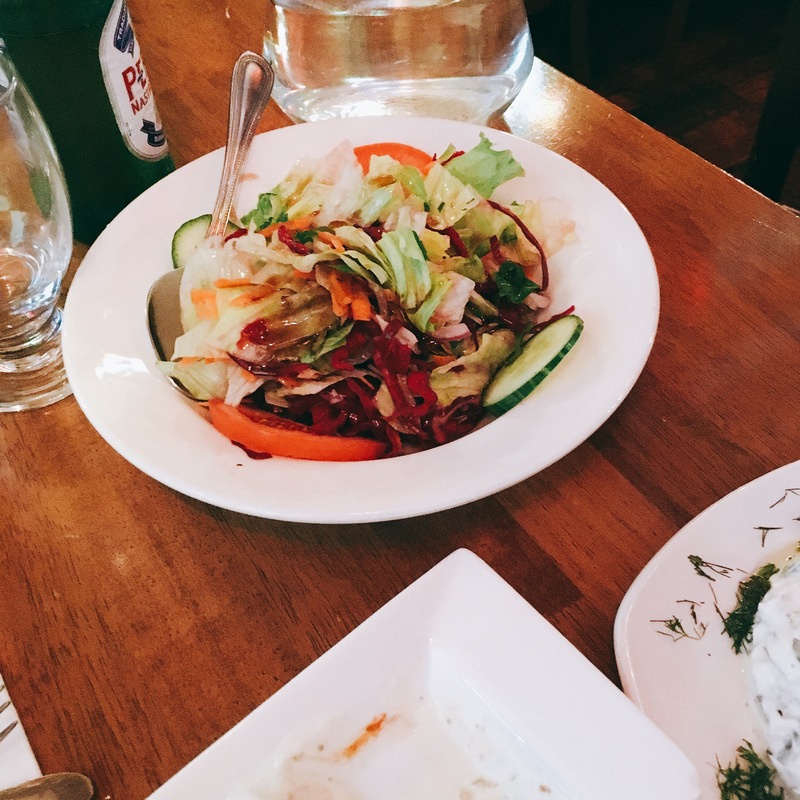 Makara on Church Road is much better – for food and service. As is Archipelagos which is similar food but Greek (you can see my review of Archipelagos here). I wish now I had just returned to one of those for the evening. The value was the second best part of eating here. For three drinks plus our meals we paid £20.00 each. For the quantity of food it was worthy; for the quality, maybe not so much. Have you eaten at Ephesus? What did you think? Let me know in the comments! Ahh I’d been keen to try here but not so sure now! Amazingly cheap though! I Have been there few times i dont know what are you talking about? They are the one of the Best Restaurant around Brighton . I never had a bed exprence there always good and fresh.. Sadly I didn’t think it was the one of the best restaurants in Brighton when I went! Albeit I wrote this review a few years ago. I’m glad you like it though, perhaps they’ve improved since we ate there.